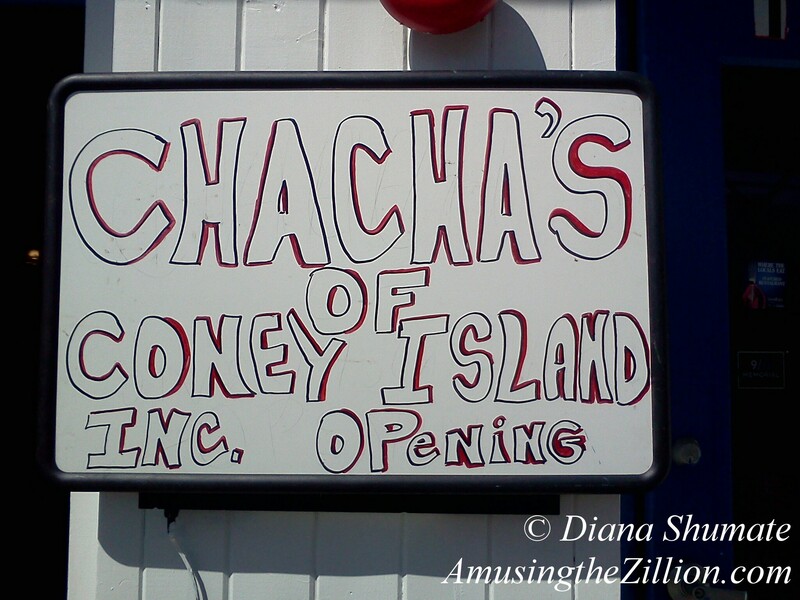 Today, Cha Cha’s of Coney Island served its first drink in its new location on the north side of Surf Avenue across from Nathans Famous. Opening day is Easter Sunday at 12 noon, when longtime bartender Mila will host her first Bloody Mary Sunday of the season, toasted by friends. The address is 1315 Surf Avenue, the space formerly occupied by Surf N Turf Grill. Brick-oven pizza at $2.00 per slice along with beer and drinks will be served, says Diana Shumate, who sent us these photos. The restaurant will be open weekends only for the next few weeks while renovations are underway. A more extensive menu is planned, Cha Cha says. Cha Cha’s Club Atlantis, a beach bar similar to the original and with the atmosphere of a reincarnated Beer Island, is expected to open at Stillwell Avenue’s BK Festival. Live music will be featured at both the Surf and Stillwell locations. Last October was the last hurrah for John “Cha Cha” Ciarcia’s “Home of Wild Women and Wise Guys” on the Coney Island Boardwalk. One of the “Coney Island 8” evicted by Zamperla, Cha Cha’s former Boardwalk location was the site of the original Club Atlantis and is slated to become Tom’s Restaurant. The good news is that in addition to family-owned Brooklyn establishments like Tom’s of Prospect Heights and Grimaldi’s Pizzeria opening in Coney Island, the majority of the original “Coney Island 8” eateries are coming back this season. Ruby’s Bar and Paul’s Daughter were offered 8-year leases by Zamperla and are currently undergoing renovations. Steve’s Grill House sold his building to Zamperla, bought a concession trailer and plans to relocate nearby. Gyro Corner Clam Bar has a second location at the corner of the Bowery and 12th Street. so happy to hear this. it’s not summer without chacha’s! can’t wait for my first drink! Awesome. Wonder if the Rockabilly Festival will continue there this Labor Day?? 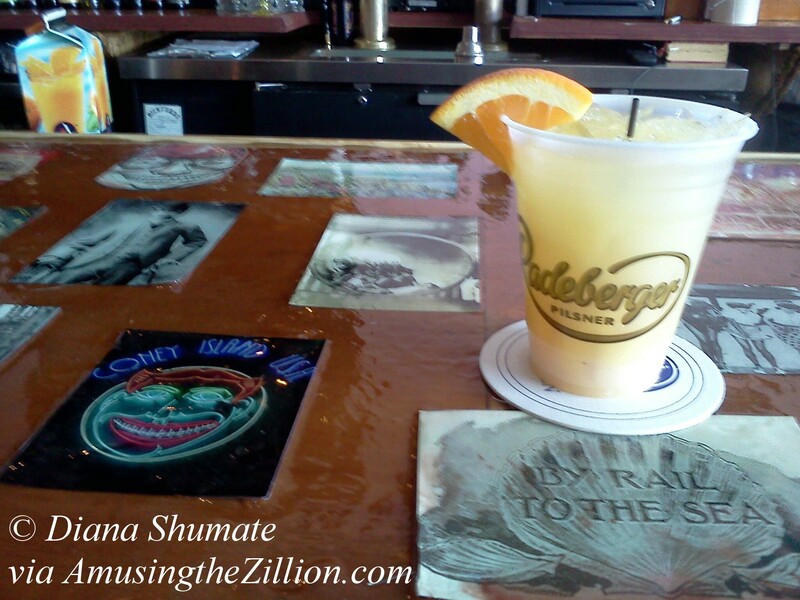 We went there recently,the bar is awesome,original&interesting to say the least. As for the pizza,cant beat the price or the taste! Cant wait for the resaurant to open. “Atlantis Club” was clever and unique. Can’t wait to get the party started. Bar looks awesome…Coney Island History.